The book represents the systematical development of several rarely used or new mathematical techniques to construct new wave equations for elementary particles. On this ground, it develops the quantum mechanics of the particles with additional electromagnetic structures in the presence of external electromagnetic fields, and, concerning the curved space-time background, it details many new solvable problems in the field. 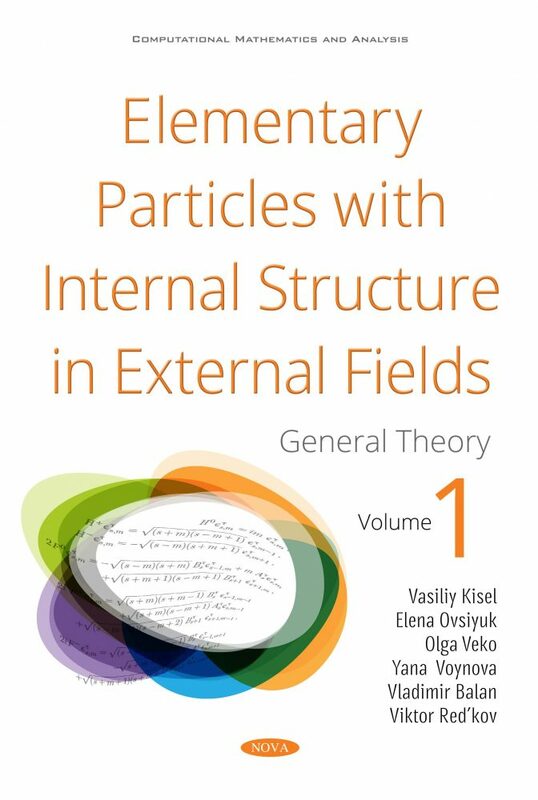 Volume I of this book is devoted to studying the mathematical formalism of the generalized theory of relativistic wave equations, which permits the construction of new equations for particles with an intrinsic spectrum of the spin, mass, and a number of additional electromagnetic characteristics, which lead to additional physical effects in the presence of external fields (electromagnetic and gravitational). The main theoretical tools are: The theory of the Lorentz group; the wave equations and the Gel’fand–Yaglom canonical basis; the Lagrangian formulation of the theory; the minimal polynomials approach; the projective operators technique; and the definiteness of energy and charge. Primary attention is focused on the possibility of constructing different relativistic wave equations for particles with a fixed value of spin and mass, proving that such wave equations describe substantially different objects. These equations possess some intrinsic electromagnetic structures in addition to the electric charge, and this leads to physical effects in the presence of external – electromagnetic and gravitational – fields. Extended models for particles of spins 0, 1/2, 1, 3/2, and 2 are developed.